Posted August 19th, 2015 by Rachelle & filed under Design Tips. 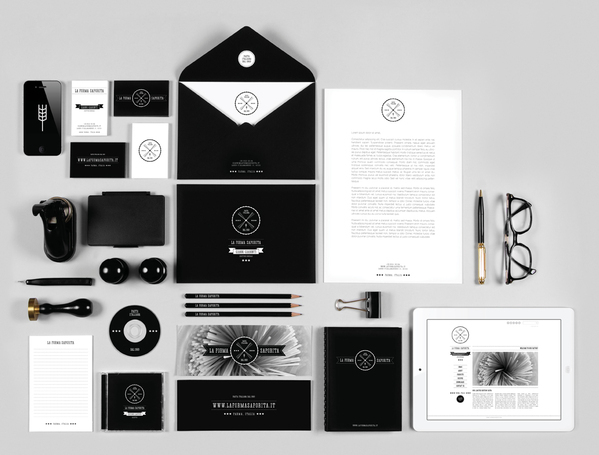 The term brand identity includes all the visual materials used to present your company. Your logo, colors, typefaces, verbiage, business card, advertisement layouts, storefront sign, uniforms – all of that is part of your brand identity. A good brand identity is consistent and easily recognizable. It tells people who you are, what you do and about the personality of your company. Take a guess! Do you know who it is? Scroll down to see if you’re right. …If you guessed Coca Cola, good job. You recognized Coca Cola because they have an effective brand identity. Coke’s brand is consistent which makes them super easy to recognize. This has helped them become one of the most recognizable brands in the world. Your brand identity tells customers who you are. If you are not actively building your brand it will begin to form on it’s own. Not controlling your brand image is dangerous! It can lead to a brand that grows into something that portrays your company as sloppy, inconsistent or unprofessional. Not good! Once you’ve built a brand identity and are recognized by it you need to maintain it. If you change your brand identity too much your customers might not recognize you. If they don’t recognize you, they won’t remember all the great things they’ve heard about your company and they will be less likely to use your services. What does a good brand identity accomplish? Done correctly, branding tells customers who you are, creates awareness of your business and builds trust. If your company uses different colors and styles on everything, your customers are less likely to remember you. They’ll probably think each ad is for a different company. Consistent branding makes a big difference! What if my company doesn’t have a brand identity yet? Ideally, your company already has a professionally designed logo and identity system. If this is you, give yourself a pat on the back for being ahead of the game. Our designers will build your advertisement to fit in seamlessly with your existing brand guidelines. If you don’t have anything: no worries! Many business don’t have the budget to pay a graphic designer for a full brand identity system. It’s expensive! Since you’re advertising with Bench Craft our graphic design team can make you an advertisement that will look professional and can serve as a jumping off point for your future branding. Lots of our advertisers wind up using the logo and look we come up with as a permanent part of their brand identity. How will the Bench Craft designers help me begin to build my brand identity? We can use any existing branding your company has (like your website) to build an advertisement and interim logo with that, or if you don’t have anything at all to start with we can do a phone interview to get the gist of how you want your company to be portrayed and go from there. For companies who don’t have any logo or branding at all, we can make an interim logo. While it’s not going to compete with a logo that costs $3,000 and takes 3 months to design we guarantee it will look professional and accurately represent your business. Inspiration and examples of good brand identities.